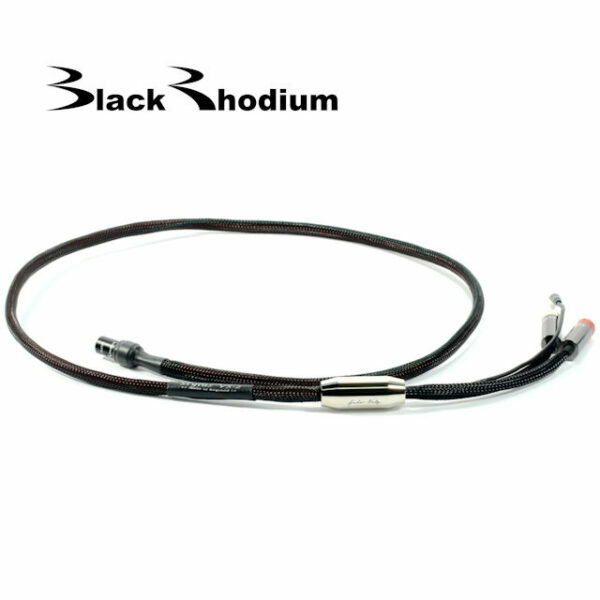 Black Rhodium Stylus VS-2 5 pin DIN – 2 x RCA Tonearm Cable, 1.3m length. 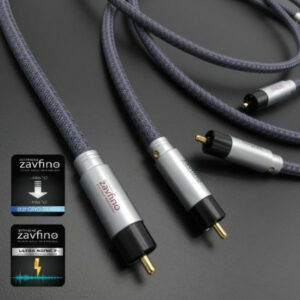 Enhanced version of the regular Stylus cable, and up there with the best tonearm cables that you can buy, at any price. Free UK shipping. 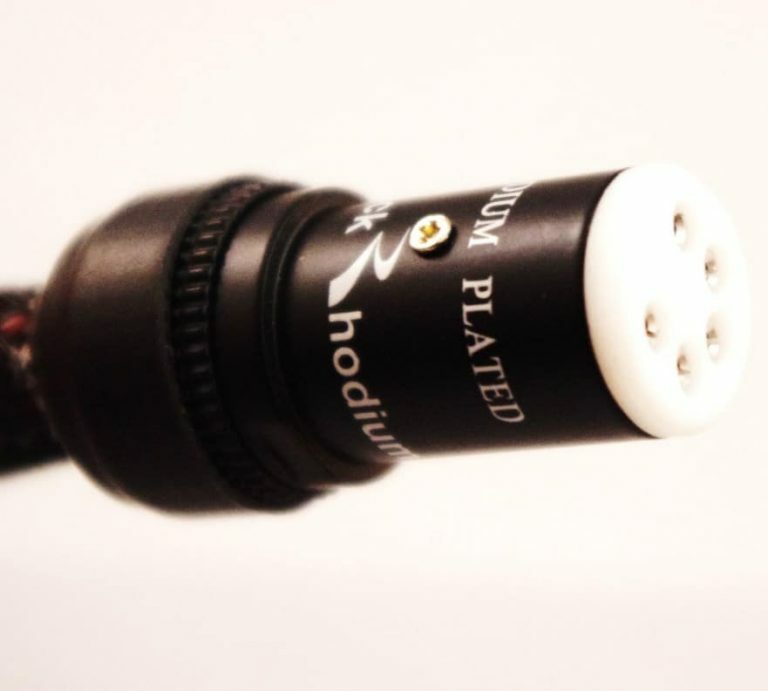 This is an enhanced version of our favourite tonearm cable – the Black Rhodium Stylus, which in our listening tests has consistently out-performed some much more exotic and more expensive competitors. 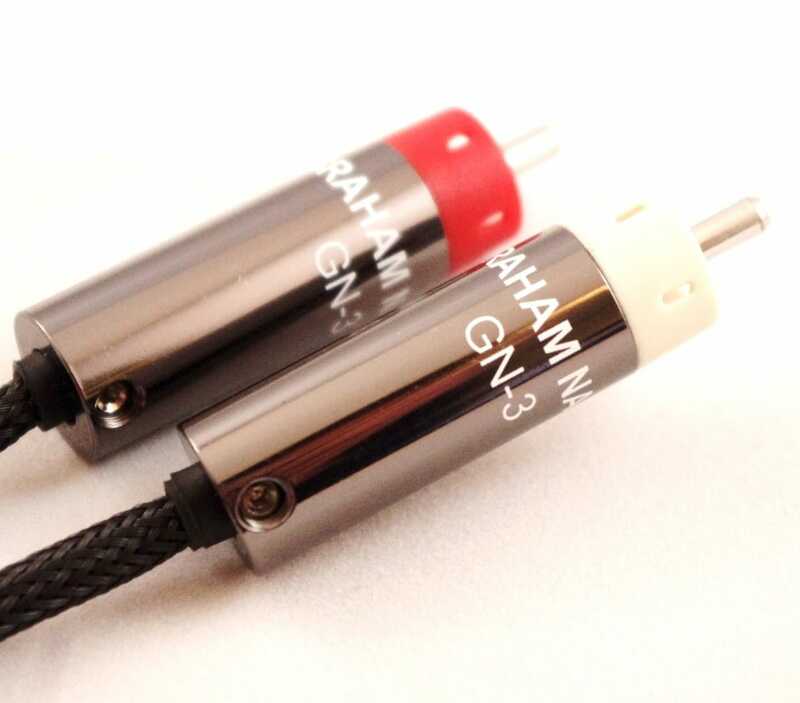 The main differences over the ‘ordinary’ Stylus cable are DCT (cryogenic) treated connectors, and Garham Nalty’s vibration stabiliser which controls physical vibrations travelling in the cable. Black Rhodium’s STYLUS tonearm cable can be relied to deliver very clear diction of a singer’s voice and to separate musical instruments superbly through a dramatic reduction of ‘Transient Phase Distortion’. ‘Transient Phase Distortion’ is reduced by using thicker insulation than is usual in interconnect cables, increasing the distance between conductors. This reduces the magnetic field seen in each conductor wire as a result of the magnetic field created by the current in the other conductor wire. The benefit in listening is a clearer and more open sound quality. STYLUS employs separate coaxial screened cables for each channel. The screens protect the sensitive low level signals from the turntable’s cartridge from picking up high frequency noise and interference present all around. Further protection against noise and distortion is provided by placing both channel cables in an outer jacket, preventing the return conductors of both channels from acting as a ‘loop aerials’ for RFI. Complementary filtering techniques are additionally applied to ensure that any interference that does penetrate the cable’s very effective defences is effectively neutralised preventing audible distortion interfering with the music. All these treatments are designed to reduce the amount of audible distortion in the cable, allowing cleaner, clearer sounds to be enjoyed from your equipment. 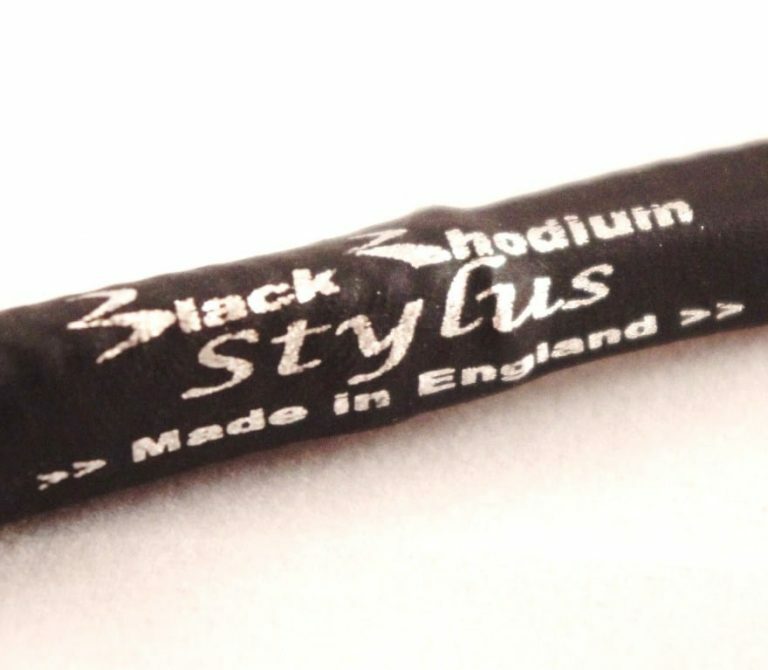 STYLUS uses two silver plated copper cores, insulated in low loss PTFE dielectric, for positive signal flows. PTFE insulation is used because its low dielectric loss ensures extremely low distortion due to dielectric absorption effects in which sound energy is absorbed in the insulation and released at a later interval of time to create highly audible time-smearing distortion.